I remember seeing Sharron Proulx-Turner’s What The Aunty’s Say years ago at First Nations House Library University of Toronto. The title caught my attention and the poetry inside was great. Meeting Turner in winter 2011 was greater. Within the first ten minutes of introducing myself Turner laid all her four books on my lap as a gift and talked enough knowledge to fill up four more books. Turner gives of herself on the page, in person, and in spirit. 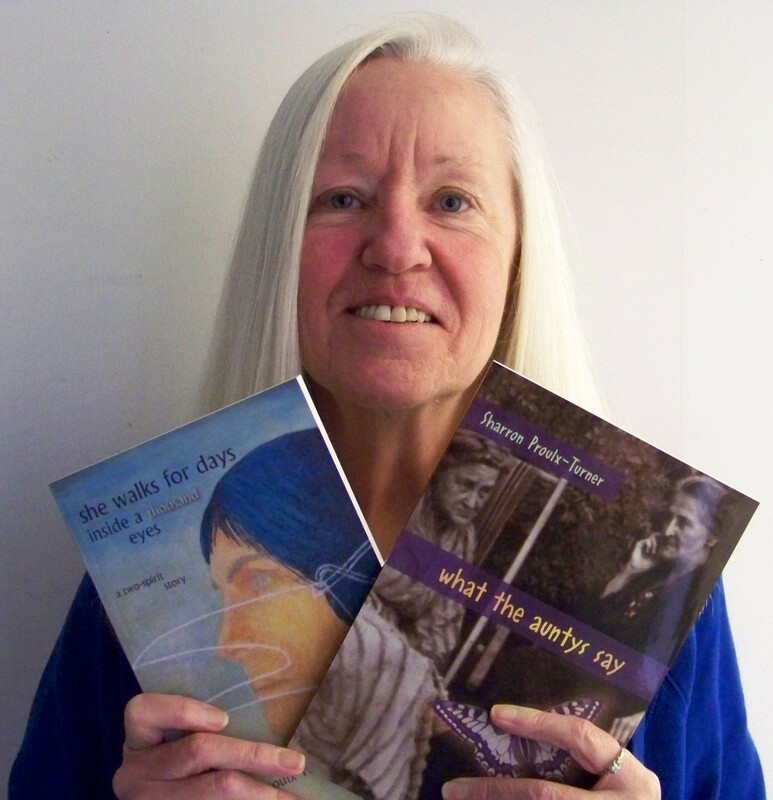 Enjoy Sharron Proulx-Turner read a story from she walks for days/inside a thousand eyes (a two-spirit story). Tune in to Black Coffee Poet Monday June 20, 2011 for a review of “Louder, Faster, More Fun” by The Johnnys. This entry was posted in Poetry and tagged "she walks for days/inside a thousand eyes (a two-spirit story) by Sharron Proulx-Turner, "What The Auntys Say" by Sharron Proulx-Turner, Black Coffee Poet, First Nations House U of T, https://blackcoffeepoet.com/, Sharron Proulx-Turner, University of Toronto. Bookmark the permalink.